Medical professionals often incur a significant amount of work-related expenses, so it’s vital to ensure that you do keep records of all of these so that you can claim on them. To make sure that you do take advantage of all your allowable tax deductions, keep detailed records on an app or spreadsheet. Retain your receipts in an orderly manner so that come tax time, you can hand over your files to your accountant for easy processing. 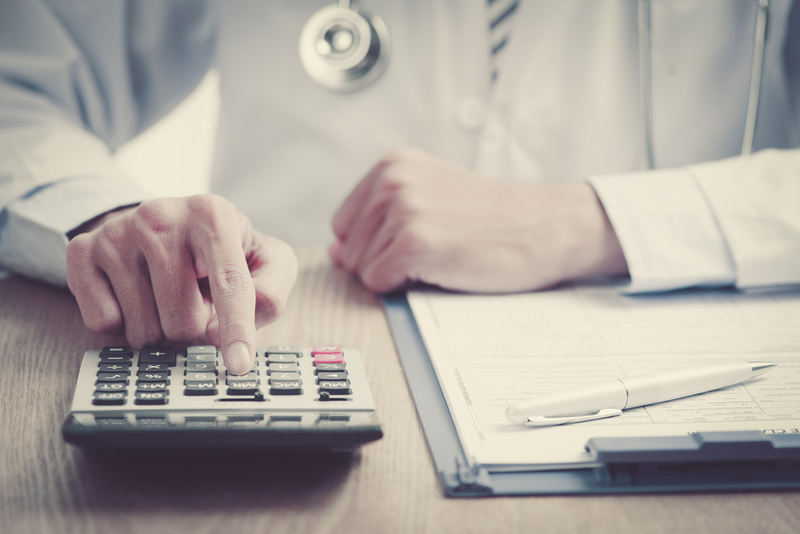 Doctors are required to complete a certain amount of continuing professional development to maintain their registrations, so it’s no surprise that work-related self-education is a key claimable expense for medical practitioners. For those undertaking specialist training, there can be additional expenses. Have a system in place for tracking all your education costs, including textbooks, materials, fees, and even home-office computers and furniture for study. Other self-education expenses that you incur over the course of a year can include photocopying costs, student services fees, and course-attendance-travel costs. Other work-related expenses cover many types of expenses that you incur in the process of earning your assessable income. This might include purchasing a briefcase, buying a stethoscope and other equipment, or phone and internet expenses. You might be able to claim for travel and accommodation costs for attending a conference, membership fees for professional associations, and journal subscription fees. Insurance and medical registration fees also come under this category. Remember, when claiming a work-related expense against your assessable income, you must have already paid for it yourself and not been reimbursed by your employer for the cost. A common deduction is the mobile phone bill, but it can become a little more complicated if you’re sometimes using your own phone for work-related purposes. The ATO offers fixed amounts for incidental use claiming under $50. Otherwise you can work out the percentage of work use over a representative four-week period on which to base your deduction total for the whole year. Note that to claim a deduction, you must have paid your bill and not been subsequently reimbursed for the work-related percentage of your bill by your employer. Expenses relating to employer-provided phones are not tax deductible against your own personal assessable income. As an employee medical practitioner, if you work from home at times, you might be able to claim for expenses such as using your computer, phone, and internet for work purposes. Heating, cooling, lighting, office-equipment depreciation, and at-home professional library could all be tax deductible expense. However, you can only claim for the portion of the expense that’s used for work purposes. For example, if you buy a new computer and use it 40% of the time for home-based work for your employer, you can only claim 40% of the costs of your computer. If you use 30% of your home internet access for work purposes, you can claim $30 a month on a monthly internet bill of $100. Another common expense to claim is the cost of managing your tax affairs. If you consulted with your accountant and had them complete and lodge your tax return, you can claim those fees against your tax bill. You can also claim the costs for buying any tax reference material and software for completing and lodging your tax return. If you wear uniforms, protective clothing, or other specialised outfits for work, you could claim for the cost of buying these. Included under this category might also be the dry-cleaning costs for maintaining these clothing and uniform items. Don’t forget any special footwear and protective items you might have needed to purchase for work. While you typically can’t claim for travel costs incurred for getting to work and back home, you might be able to claim for travel costs if you were required to travel between hospitals or medical centres for work. Other types of claimable travel expenses for medical practitioners include travelling to do work in remote, rural, or interstate areas, and travel for functions and events that are related to your work. If you attend and present at a function or conference for example, you might be able to claim for everything from airfares, accommodation, meals and the cost of having conference materials printed out. If you travelled partly for work and partly for personal reasons, you can only claim on the part that was for work purposes. Note that if your home is a base of employment in that you started your work at home and then travelled to a workplace in continuation of the work, you could claim for these travel expenses. For motor vehicle expenses that are work related, you might be eligible to claim whether you owned, leased, or hired (under a hire-purchase arrangement) the car. You’ll usually need to keep written evidence of your car expenses, along with your logbook and odometer records. There are two options for calculating your car expense, and you’re free to opt for the choice that gives you the biggest deduction or the one that’s the easiest for you. Cents per kilometre – This method has you working out the total kilometres you drove for work in the last financial year and multiplying it by the current set rate (by the ATO; currently 66 cents) to obtain a dollar amount. Note that you can claim up to 5,000 kilometres per year, per car. Logbook – This method involves working out the business use percentage of your expenses for using the car. Note that your expense include running costs, fuel and oil costs, and decline in value, but not items such as purchase price, car financing principal amount and improvement costs. You need to keep a logbook with the odometer reading for the given logbook period. You can also claim for depreciation for decline in value, but only if you use the logbook method to calculate your vehicle expenses and you owned the car or hired it under a hire-purchase agreement. Medical practitioners are required to maintain professional insurance, such as professional indemnity insurance. Other types of insurance could be income protection insurance, cover for audits and inquiries by Medicare, and tax audit cover. If the insurance policy is work related, you might be able to claim it against your assessable income. Some types of insurance might not be tax deductible, even if they appear to be work or career related. These could include life insurance, trauma insurance or critical care insurance. Check with your accountant if you have any doubts about what types of insurance you can claim against your assessable income. Don’t forget to claim for your donations made over the last financial year. The donation usually must have been over $2 in value and the charity needs to be a deductible gift recipient. Be mindful that there are some exceptions to tax-deductable donations, and these are usually those that provide you with some personal benefit for making the donation. For example, if you purchase a fundraising-dinner ticket that has a donation amount factored into it and you believe it’s a donation, you might find out that it’s actually not tax deductible because you received a personal benefit in exchange for it. Medical practitioners are usually high-income earners and it’s common for doctors to hold investments. If you took out a loan to invest in an asset, you might be able to claim the costs of the loan against your income. For example, if you have a negatively geared property where the net rental income is less than the interest on your property loan, you can claim this loss against your income. You can also claim a deduction for any expenses you incur in the process of earning interest, dividend or investment income. If you purchase tools, equipment and other types of assets to assist with generating income, you might be able to claim for all or part of the cost. As with home-office equipment, you’ll need to assign a percentage for business use and work out the deductible amount from that. The ATO has rules for items within certain price ranges. For example, items that aren’t part of a set and cost $300 or less or are part of a set that costs $300 or less in total, you can claim an immediate deduction for the total cost. If you buy an item that costs more than $300 whether individually or part of a set, you claim on the basis of a decline in their value. These tools and assets can include everything from calculators, safety equipment and desks, to software, protective items and professional libraries. Repair and insurance costs can also be claimed, along with interest on any loans you took out to purchase the items. Doctors can incur a range of costs when it comes to work-related expenses, investments and travel, so it’s a good idea to make it a priority to track your expenses throughout the year and keep your receipts, especially if your employer doesn’t have a reimbursement program. You can use apps and other tools to simplify the process, and as long as you get into the habit of recording your outgoings, you can minimise your tax bill and avoid paying more than you have to when it comes to tax time.